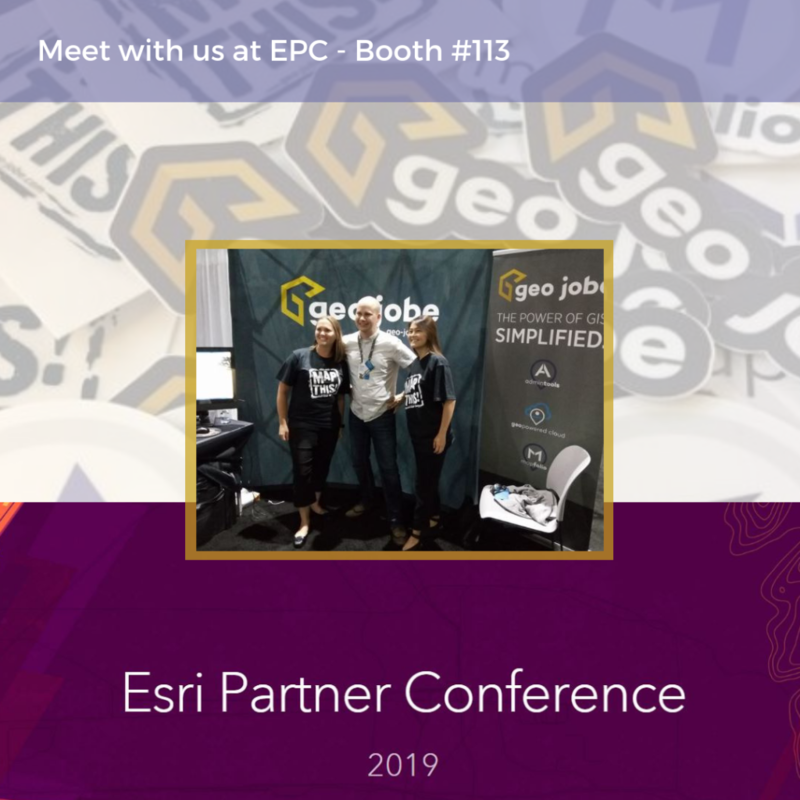 GEO Jobe will be exhibiting at the annual Esri Partner Conference (EPC), March 2-4, 2019 in Palm Springs, CA. Meet with us any time during EPC and DevSummit, March 3-8! During the EPC, visit us in the exhibition hall at booth #113 to learn what’s new with our product development crew, professional services team, and our busy UAV services group. Admin Tools: Learn about the new updates to Admin Tools for ArcGIS Online. GEOPowered Cloud: Discuss the features and functionality of GEOPowered Cloud Managed Services – lots to talk about here! 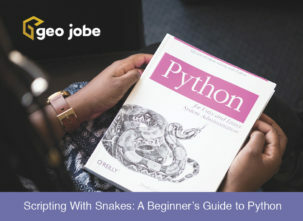 Discover how GEO Jobe works with Esri small business startup member companies to help deploy their apps for ArcGIS users. Learn about security.manager – ArcGIS Edition. Learn about our vibrant UAV and aerial mapping services. Hear about how we can work with you, or your clients, on UAV projects and integrating your data with ArcGIS online and our GEOPowered Cloud. This is going to be a big week for many of us in the GIS industry. The EPC sets the stage for the year ahead and helps to guide us, as an Esri business partner. It is key in plotting and planning the roadmap for the apps and services that we are building on the ArcGIS platform. The EPC is an opportunity for us to meet with Esri product managers, other Esri business partners, and our colleagues who are also building ArcGIS apps and providing services to their clients using Esri-based solutions. Given our history at building ArcGIS solutions for enterprise clients and creating several of the top apps available to ArcGIS users in the ArcGIS Marketplace, this event is key for us. Attending EPC helps to ensure that we are aligned with Esri and stay in touch with key product engineers. This was evident in 2018 when we were awarded the Release Ready Specialty designation from Esri! If you’d like to book a time to meet with a member of the team during the week you can reach out to us via email or nudge us on Twitter @geojobegis. Contact us for more info or to setup a time to meet at EPC.